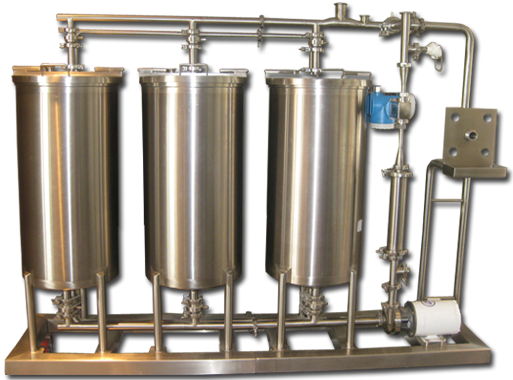 Structural design & fabrication of Process Equipment, Pressure Vessels, Platforms and Skids. All Design/Engineering projects are assigned in-house to personnel with extensive experience in designing process equipment and systems. Preliminary drawings & spec’s made available for review and approval by customer. Building modification drawings and specifications detailing building requirements. Tie-in specifications for existing equipment and/or utilities. Assurance of compliance to industry guidelines. Finite Element Stress Analysis (FEA) design specialization in agitator and tank design. Engineering capabilities for pressure vessels structural design include calculations and analysis of allowable stress and selecting the ultimate tensile strength. Selection of materials based on customer’s needs and process requirements. INOX-TECH engineers are experienced in heat exchange calculations and have developed special headers for high efficiency cooling on dimple jackets. Click HERE for additional information on our Process Experience. Our Automation Division is experienced in the design of high power panels to control complete process systems. Design of instrumentation & controls include PLC wiring, interconnecting wiring details, conduit schedules, cable and conduit layout and preparation of instrument index. Off-site monitoring and troubleshooting services available.